The objective of the Post Secondary Programs is to assist in the creation of a large pool of professionals who will work toward the establishment of self government in the Sioux Lookout District, to help create infrastructures, support initiatives in business, economic development, government, medical and social services, and encourage entrepreneurship. All First Nations members are entitled to equitable rights as students of NNEC and are expected to perform as responsible adults. Students sign a Charter of Student Rights and Responsibilities that outlines their education rights and responsibilities as adult students of NNEC. The binding contract serves as a guiding document to assess current and future funding and support of individual students. All applications for education assistance are considered according to their priority. May 15th Application deadline for Fall\Winter semesters. 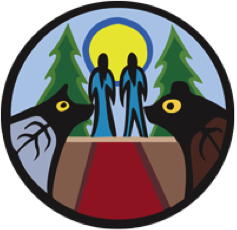 NNEC is a First Nations, band-empowered, non-profit educational organization delivering secondary and post-secondary values-based education to advance First Nations’ self government, self determination and economic self sufficiency in the Sioux Lookout District. Copyright @ 2014 Northern Nishnawbe Education Council. Site designed by Design de Plume.